One of the best things about this time of year is that I get a chance to make tasty beverage themed gifts for my friends and loved ones. Thankfully in the age of the internet all we need to do is tap in a few keywords are rewarded with a plethora of recipes, though not all are good. Here are a few recipes from some trusted sources to help you in your holiday gifting. Happy Holidays from the Hungry Mutineer! Pruneaux a la Armagnac from Chez Pim. Pim Techamuanvivit is one of the OG’s of food blogging and has an incredible sense of taste. These armagnac soaked prunes taste like Christmas itself and make the perfect gift. Pickled Cranberries via Serious Eats. I gave these cranberries to friends last year and they were very well received. The cranberries are delicious with meat or to garnish a cocktail, but the best part is the liquid which is essentially a spiced cranberry shrub. Bourbon Balls by The White on Rice Couple. Todd and Diane create some of the best recipes on the internet, and these are no exception. They are the perfect (open) marriage of bourbon, chocolate and pecans and will make your loved ones very happy … if you manage not to eat them all. Bourbon Pecan Pralines from the Brown Eyed Baker. Who wants pralines when you can have bourbon pralines? Give friends a package of these little beauties this year and I guarantee that you’ll be giving Santa a run for his money. 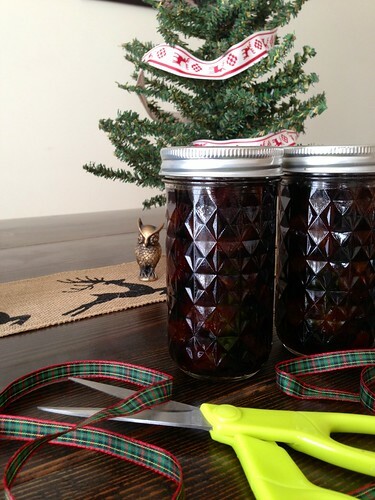 Do you give boozy homemade gifts for Christmas? If so, please share them in the comments.